Our Valentine’s Day Poll has closed and the results have revealed that most owners make sure their pet is told those three special words. Turns out that 67% of voters say ‘I love you’ to their pet on a regular basis. A total of 27% of all voters tell their pets they love them only sometimes. While it was good to see that not many pets are missing out on hearing how much their owners love them with only 5% of voters claiming they never say ‘I love you’. Results were similar on the USA poll with a large 75% of voters revealing they say “I love you” to their beloved pets. It was discovered only 25% of voters sometimes tell their pet they love them. From our survey no pets in the USA are missing out on feeling the love with 0% of votes totaling the ‘never' category. Telling your pet you love them is not the only way to make your pet feel loved. Check out this month’s article for other ideas on ways you can make your pet feel extra special. 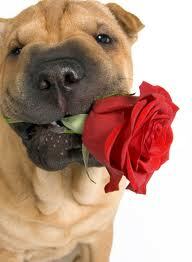 Happy Valentine’s Day from everybody here at VetShopAustralia!